The Breguet warranty can only be issued by an official Breguet retailer. It is valid for 24 months after the date of purchase and it covers any defect in parts and manufacture existing when the purchased Breguet watch was delivered. The warranty is only valid if the certificate of origin and the warranty certificate have been completed with the reference number of the model, the number of the watch, the date of purchase and the stamp and signature of an official retailer of Montres Breguet SA. For the period of the warranty and upon presentation of the completed warranty certificate, Breguet will undertake the free repair of any defect. In the event that it cannot by such repairs be restored to normal conditions of use, Montres Breguet SA undertakes to replace it with a Breguet watch of identical or similar characteristics. The warranty on a replacement watch expires 24 months after the date of purchase of the replaced watch. - Any damage from negligence, lack of care or failure to service the watch regularly as recommended in your warranty certificate. - Damage from the incorrect use of the watch and its functions and from non-compliance with the instruction provided by Montres Breguet SA. All other claims against Montres Breguet SA, for example for damages not covered in this warranty, are excluded except for those within the mandatory rights of the purchaser. Montres Breguet SA customer service will ensure the perfect maintenance of your Breguet watch. 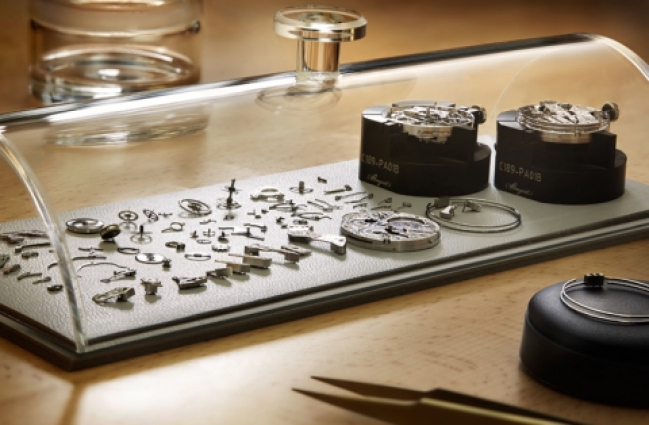 If your watch needs attention, please entrust it to one of our official Breguet retailers or Breguet Service Centres. They alone can guarantee service to the standards of Montres Breguet SA.